A degree from the Department of Integrative Biology will provide you with the knowledge and skills necessary to pursue a career in a variety of fields, including jobs in business, medicine and biotechnology, industry, environmental management and conservation, research and education. Guelph‘s B.Sc. Program offers you access to some of the world‘s most respected scientists, teachers, and researchers as well outstanding and unique facilities. Our well-rounded and comprehensive program provides a solid foundation in the biological, physical, computing and mathematical sciences. The Biodiversity major offers you a broad education in the diversity and evolution of life while providing a more specialized understanding of biology at the level of the organism. It is the most flexible of the majors offered by the Department of Integrative Biology and allows you to design a customized program around your interests. The major qualifies students for postgraduate work in biodiversity, botany, zoology and other life sciences and provides a sound science background for students wishing to pursue professional life science degrees or careers in teaching, government service or the private sector. The Ecology Major combines the knowledge and skills needed to understand the distribution and abundance of organisms, at multiple spatial and temporal scales, with an introduction to the economic and social factors influencing how we value and manage those organisms. It will offer you learning opportunities in ecology, conservation biology, mapping and geographic information systems, and policy, law, and management. The major will prepare you for post-graduate training in ecological and environmental sciences and for employment in environmental and management related careers with government, industry, and NGO's. 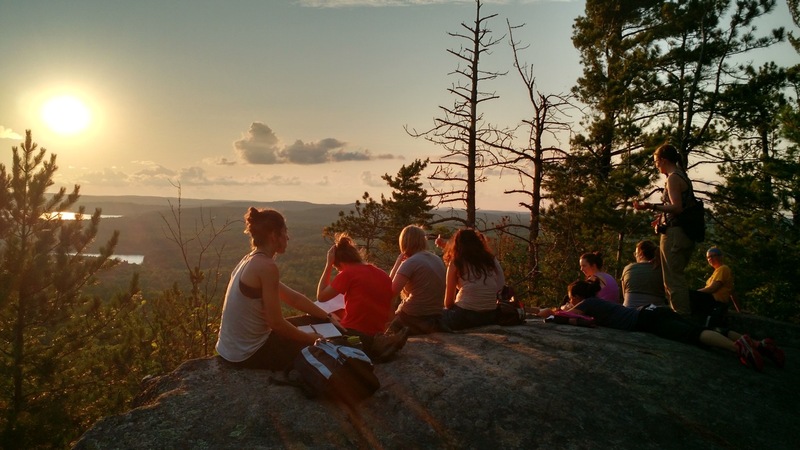 The Ecology Major is offered through the inter-disciplinary BSc Environmental Sciences degree program. There is a co-op version ECOL:C where you can acquire workplace experience. The Marine and Freshwater Biology Major capitalizes on Guelph's recognized excellence in aquatic research. In this major, you will build upon core courses in ecology, evolution, genetics, physiology and zoology as you study freshwater and marine environments and work with aquatic organisms experimentally in the field and the lab. You will also look at the ecology of these systems from both biological and physical science perspectives as well as consider management and conservation issues. You will have the opportunity to participate in field courses in arctic, tropical and temperate regions. There is also ample opportunity to participate in exchange programs with Universities in Europe, New Zealand, Australia and Fiji. The state-of-the-art Hagen Aqualab on campus allows researchers and students to simulate global aquatic environments and maintain a wide variety of marine and freshwater flora and fauna in Guelph. This program prepares students for post-graduate work in the aquatic sciences, and provides a sound scientific background for students wishing to pursue careers in biology, management and conservation, aquaculture, biotechnology, education, and research either in government or private sectors. The Wildlife Biology and Conservation major will allow you to study three disciplines necessary to understand the origins, interactions and protection of biological diversity: evolution, ecology and conservation biology. You will have the opportunity to take a wide variety of electives to meet your specific interests within one or two of these disciplines. The program offers a sound scientific background in preparation for careers in resource management, conservation, ecological consulting, teaching and government service. This major also qualifies students for post-graduate work in ecology, evolutionary biology, environmental sciences or wildlife management. The Zoology Program will allow you to study ecology, evolution, and physiology with a focus on the structure, function and ecology of animals. This program prepares students for post-graduate work in zoology and other life sciences, and provides a sound scientific background for students wishing to pursue careers in management and conservation, biotechnology and industry, education, and research either in government or private sectors.